"Make Your Dream Home Come True"
I am a living witness of Cebu's economic progress and have seen how this ongoing change also affected the lives of the Cebuanos and all its inhabitants. For one, I used to live in Mabolo District (close to SM City Mall) which was already a well-developed area in the mid-80s, that was when I was still a young and very active university student. However, the last time I visited the neighborhood I can obviously observe the changes--widened road, more real estate structures and business establishments, such as the Ayala Complex and the hotel right in front of the house where I used to live in. Anyhow, just saying that there is so much positive changes anywhere in the province, and that change is due to the hard-working citizens and great services being provided by various institutions and business groups. 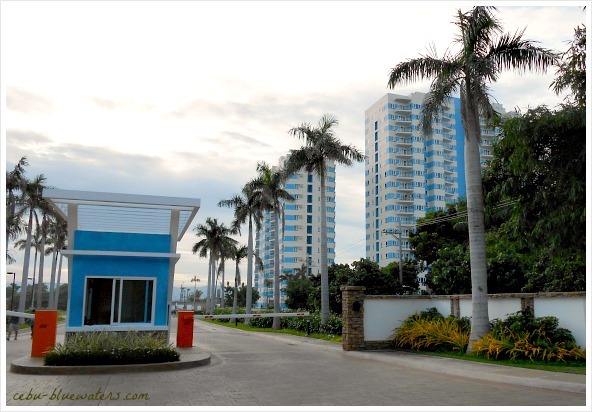 Cebu's estate developers cater to various real estate markets on this provincial island.They offer quality services to various levels of market demand anywhere on this provincial island. Each of them has its own special architectural unique designs and creative styles that provide you satisfying answers to your dream house or any establishment you have been dreaming of. The developers recognized that the Overseas Filipino Workers (OFW) have growing demands of their services - real estate properties. Office address: EPI Property Holdings Inc. I. F9 Property Development and Consultancy Inc.
N. Pacific Land Ventures and Property Development, Inc.
Office Address: 9th Floor, CIFC Tower, Juan Luna Ave.
Having seen the list of Cebu real estate developers above, take your time to check them out individually and study them seriously. Make sure you don't get too excited and rush into deciding right away. Seek the advice of experts on real estates, lawyers and/or your good friends. Whichever from among the Cebu real estate developers you want to deal and do business with make sure you are happy with their conditions and all. Okay... good luck and wish you get your dream house sooner! Hope you'll visit again this site in the future to discover more anything about business or your Cebu furniture product needs for your new home. Of course, please use freely the content of this travel guide for your leisure, holiday and vacation destination needs. Let us know if you have already found or have done business with any of Cebu real estate developers mentioned in our list above. Are you satisfied with their services? Thank you so much for the visit, come again!